Florida beckons’ tourists and travelers from near and ar! The state has so much to offer to its visitors besides glorious sunshine and amazing beaches. Located between the Gulf of Mexico and the Atlantic Ocean, there are miles and miles of coastline that create many types of beach experiences. Enjoy those sunrises and sunsets as well as curling waves and gentle surf. You can head in any direction and can be sure to come across loads of attractions. However, it is the Central Florid where one finds significant attractions such as Disney World, Universal Orlando, and SeaWorld. Florida remains a popular destination for celebrity watchers, and a perfect tropical getaway is the Florida Keys. November through May is the best time to go to Florida because of the comfortable temperatures and lower chances of rain. One should avoid Florida keys is during the rainy months of August through October. As the climate remains mild enough throughout the year, one can enjoy its plentiful of destinations anytime. As for lodging, there are plenty of resorts, hotels and holiday homes here that suit every budget and preferences. Or, you can rent a villa in Florida and enjoy your holiday and the feel of being at home away from home! One can take the public transportation for shorter trips within the city. There are a couple of cities that are bicycle-friendly like Miami Beach and Punta Gorda. Take advantage of the bike-sharing programs. You can also opt for Florida Shuttle service that runs between most major cities. Although there is plenty to do and see in the sunshine state of America, there are some attractions that are always rated high for the tourists. Everglades National Park protects an unmatched landscape that offers vital habitat for numerous endangered species like the manatee, American crocodile, and the Florida panther. The World Heritage Site is a specially protected area. You can spot abundant wildlife here and get a bird’s eye view of the glades from the observation tower. Fort Jefferson is a significant fort that you must visit. It is located in the Dry Tortugas National Park which lies on the west of Key West. It can be reached only by boat or seaplane, and is well known for its superlative coral reefs, picturesque blue waters, and marine life. Millions of visitors are drawn towards the Gulf of Mexico islands. It is hard for the beach lovers to resist the white sandy beaches and aquamarine waters. You can tour an old fort or simply relax on the beaches or swim. Take a boat ride or find a spot to camp and fish. Canaveral National Seashore offers a sanctuary to both people and wildlife ever since ancient times. The barrier island boasts of many threatened and endangered species. You can spot sea turtles who nest on its shores. Explore the pristine, undeveloped shoreline or stroll down a wooded trail. Daytona Beach is allocated along the Atlantic coast of Florida and remains a popular destination for families. Enjoy walking on the white sandy beaches that contrast with the blue-green waters. It is an irresistible playground for beach lovers and families with children. Spread across 30,000 acres, the Walt Disney World is filled with magical experiences. Enjoy visiting the sports complex, shopping, entertainment, restaurants as well as Epcot, Disney/MGM Studios, Magic Kingdom, Animal Kingdom and lots more. There is no other place like the Walt Disney World under the sun. The locals and the visitors simply love the sugar-white sand beaches of Pensacola. You will find people relaxing on the beach, collecting shells or simply frolicking with children. Enjoy the surf of the Gulf of Mexico at the calm inland beaches which offer a relaxing backdrop for wading children. Pensacola’s beach atmosphere is both lively and relaxing. Tampa Bay comprises of four cities, St. Petersburg, Clearwater, Tampa, and Bradenton. The body of water is the largest open-water estuary and covers about 400 square miles. The area offers unlimited recreational opportunities in the outdoors and boasts of some of the best beaches in the country. Tampa Bay also boasts of museums, shopping, sports, and water parks and entertainment venues. If you are looking for the unspoiled coastal wetlands on the Atlantic Coast, head straight for the Timucuan Preserve. Here you will come face to face with the 6,000 years of human history.Visit one of the last unspoiled coastal wetlands on the Atlantic Coast. Discover 6,000 years of human history and experience the beauty of salt marshes, coastal dunes, and hardwood hammocks. The Timucuan Preserve also includes the Kingsley Plantation and Fort Caroline. 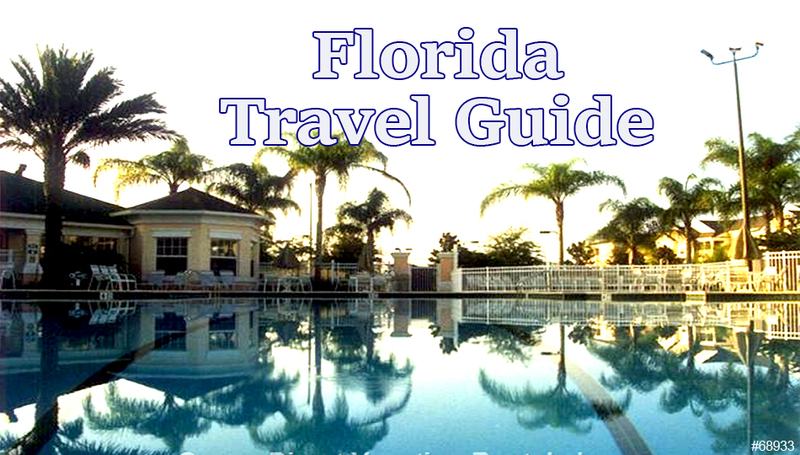 There is a lot more you can to do and explore in Florida. The list could just go on and on. However, just plan your vacation and pick the right destination that can be enjoyed by the whole family.